Shed hunting is just that – hunting. If you want to find sheds, you have to know where bucks are living in January through March, which means you have to find the food. Whether you plant it, place it or find their natural browse, finding sheds takes some leg work. Even in Iowa, where I have acres of food plots, they aren’t always using them like you’d think. I’ve watched deer walk right past my food plots and stand under a black locust tree eating locust pods for an hour, or do the same thing and dig for acorns under a white oak tree. The advantage you have this time of year (Jan-March) is that the deer are fairly predictable. If they find a consistent food source, they travel very little and that makes your chances of picking up their shed antlers very good. If you’ve done your homework all summer and during the season, you know what bucks are in your area and where to hunt them. So, when the season’s over, you still know where to find them and thus, their sheds. Conversely, when you follow these bucks all winter and into early spring and find their sheds, you get an even better understanding of what bucks are still alive, where they are bedding, feeding and basically spending the majority of their time. 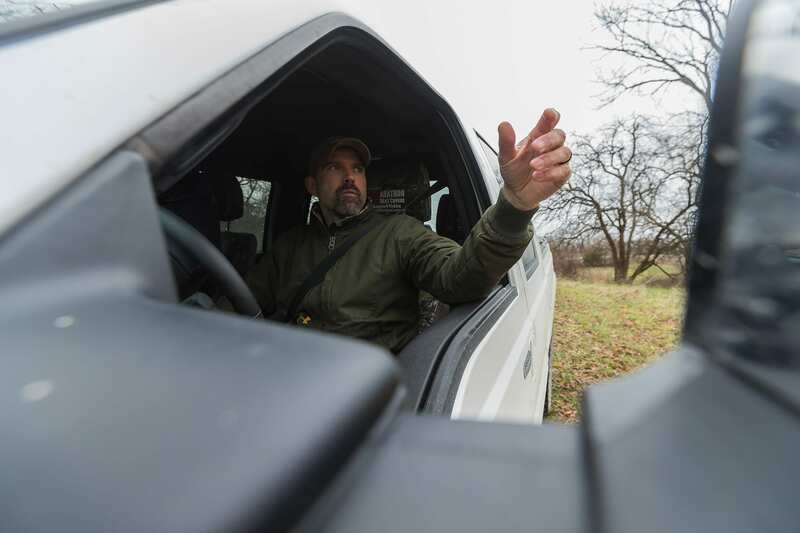 This is information you’ll want to know for the upcoming hunting season, and shed hunting season is the only time of the year that I go into the timber to learn it all. I can’t stress how important it is to keep your cameras up after the hunting season, especially if you have or know where the food is. The cameras will tell you where the big bucks are and when they’re shedding. I don’t like to go into the woods looking for sheds before I see that at least 70-80% of the bucks have shed completely (on my farms, that’s normally around Feb 20th). The last thing you want to do is start your shed search too early and run deer off your property. The only time I will go into the timber before it’s time is when I see a big one has shed one or both of his antlers. The minute I get a picture of him with a side down I’ll walk the area and the entire farm if I have to. You’ll want to get after the big ones as soon as possible to prevent them from getting chewed up by rodents or picked up trespassers. While finding their food source is crucial, whitetails actually spend more time bedded up than they do moving in the winter months. Many people think that if they have the food source figured out, that they are going to find the sheds right there. Although we do find a good number of sheds in the food plots, the actual number is fairly low. In southern Iowa where we live it snows then melts then snows then melts several times each winter. After there is snow on the ground and we get the first 35-40 degree day and the snow starts melting, I go out and mark on my maps which of the ridges near our big winter food plots start melting off first. This is where you’ll find the deer. Whenever we get a new farm or a new place to shed hunt and get a warm day I’ll always go out with a map and mark those ridges that melt off first. Those are the places that are money not only for hunting, but shed hunting as well. Now that we’ve covered the bedding areas, let’s talk trails in and out of the food sources. Although they can drop their antlers anywhere along the trails, I’ll find the majority of them at places where they have to jump. That means fence crossings, ditches or any other change in elevation. A creek borders a big food plot on one of our farms. The creek banks are usually not real high, but still enough to where they have to jump up and down to cross. These are my “go to” spots in late season. I go check these creek crossing spots weekly and normally find 1-3 sheds every week here during shed season. So, that’s the strategy. Hit the food sources, the bedding areas and the the trails leading to and from them. If you cover these fairly well you’ll have 75-80% of the sheds depending on the year. If it’s an extremely cold year you might find 80-90% in these places. Once you’ve covered the food sources, the bedding areas and the trails leading to and from them, that leaves the wild card spots. For me, I’ll look for our old interior fence rows that are lined with hedge and black locust trees. If there are still a good number of locust pods and hedge balls on the ground, these places are a good bet to find sheds. 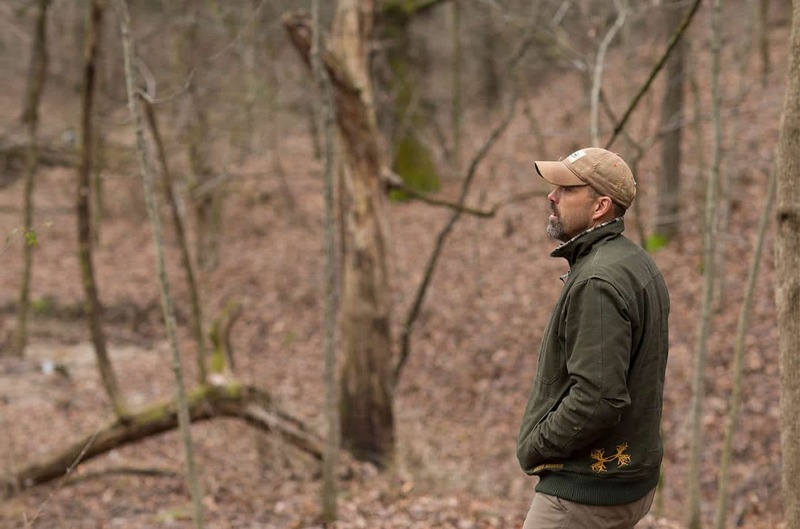 The longer you have a farm or the longer you hunt a certain area, you learn where these trees are and learn to target them the same way deer do. I used to just go out and wander around in the timber in the old days, and I’d find a few, but when I learned about how the deer moved and where they moved in my area, I started finding more and more. By narrowing my search, I saved time and the number of sheds I found increased dramatically. If you want to take your shed game to the next level, training a shed dog will help. Simply put, dogs can do things people can’t. 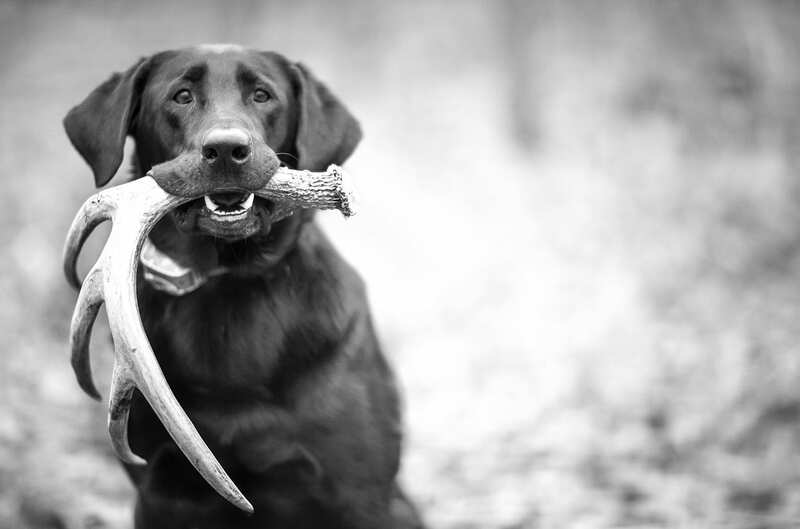 Aside from increasing your odds of finding sheds in visually cluttered areas, a good dog will save you a lot of time. We find nearly half of our sheds each year in the grassy edges and waterways in and around the fields. This is where we put our dogs to work. The big advantage is that they can smell recently shed antlers, which is especially key in tall grass. Even if the sheds have laid for days and lost their scent, the dogs are trained to find them by sight. We typically score big by working in a grid pattern. Dogs will cover 10 times the ground that I do, so what used to take me days now can be covered in hours.